By the Jewish people, there was no custom to give gifts. The custom was to give Chanukah gelt (Yiddish for money), not only the chocolate coins but real money, dangy, plata, a.k.a. cash. Why money? Why not gifts? Won’t the children buy the gift they want if they get enough money? The two are connected! American materialism is the problem and Chanukah gelt is the solution. The Chanukah story is about the triumph of Jewish values over the materialistic and self-indulgent values of the Greek culture at that time. The agenda of the Greeks was not to steal the oil or to steal the money from the Jews, they had an ideological agenda to compromise the integrity of the Jewish values imbued in the Jewish way of life. The Jews can light the menorah with oil just not with the pure oil. The Jews can use their money but should use it for self-indulgence. As an antidote to this self-centered style, the Jewish people gave their children gelt on Chanukah. It was an educational tool for how the Jewish people ideologically view money (and the world in general). In Judaism, the relationship with money involves responsibility and choices. It can be used solely for us or it can be used for the service of G-d as well. Gifts are used by the recipient for their own enjoyment. Money, on the other hand, can also be given or shared with others. You have the choice to do with it as you wish; you can keep some and give some. So give someone some real Chanukah gelt and give them the ability to enjoy some, share some, give some and tithing some etc. Have a wonderful Chanukah and enjoy the turkey. P.S. See you Sunday at 5:00 pm for the Menorah lighting at Shamrock park. Reading through this week’s Torah reading, one sentence stood out (see the parsha text here), Reuven comes back to the empty pit that Yosef was put in and "the boy wasn't there" so he said "Va'ani ana ani ba' ['And I, where will I go?' (Gen. 37:30)]. Searching for the meaning of this verse, I found the following story. Avraham Pinchas lived 100 years ago in Baghdad. The wealthy Jewish merchant usually had a table full of guests, but this Shabbat he only had one, a poor man he had invited home from the synagogue. The guest was awed by the plush richness around him: the thick Persian rugs, gold inlayed dishes and beautifully decorated walls. Only one thing perplexed him: in the middle of the table stood an old, empty, broken bottle that looked as if it had once contained olive oil. When Mr. Pinchas noticed his guest's interest in the odd artifact, he told him the following story. "My father was a respected businessman, but he was always busy and left me in my grandfather's care. Every morning my grandfather would wake me, make sure I washed my hands, said the morning blessings and didn't forget my lunch. Then just before I left for school, he would give me a kiss on my forehead, raise his hands and say, 'Va'ani ana ani ba' ['And I, where will I go?' (Gen. 37:30)]. Later, I learned that this is what Reuven cried out when he discovered that Joseph was no longer in the pit and it was impossible to save him. But I had no idea why my grandfather always said that. "Then, when I was 14 years old, tragedy struck: my grandfather passed away. I began to accompany my father to work. My father tried to make sure that I prayed and studied Torah but he was always very busy. I was so fascinated by his business that I didn't pay much attention to my studies. "Two years later, my father died suddenly. Besides the fact that I was now alone, I had to decide what to do with the business. I was given the choice of selling it, or trying my luck as a manager. Against the advice of lawyers, I chose the latter. "Well, I took to it like a fish to water. It wasn't long before I was quite successful. But I began to feel out of place as an observant Jew. I felt that keeping Shabbat and eating kosher prevented me from expanding my business. Slowly but surely I became less observant, and I discovered that the more commandments I dropped, the more successful I became. "His words stabbed me in the heart. 'I am also Jewish...' I stammered. "'Oh, I'm sorry,' he answered, 'I didn't mean to offend you. It's just that I'm very sad about my home situation. We are very poor. My father died a while ago and my mother works hard to support my six brothers and sisters. "The boy looked up at me and wiped his eyes with his shirtsleeve. 'Well, this morning my mother told us that tonight is Chanuka. We prayed for a miracle, that we might find some money with which to buy oil. We were so happy when my sister found a coin behind a drawer! I ran right to the store and bought a small bottle of oil. I was walking home, holding the bottle and dreaming about Chanuka. I was even imagining that Moshiach might come now, and my mother will start to smile again. "With these words, the boy began to wail. At that, I suddenly realized what my grandfather had meant. He must have known that this would happen. That broken bottle is me! And the spilled oil is my Jewish soul - I've lost my Jewish soul! "When the boy was gone, I carefully picked up the bottle and carried it home, still in shock. I sent the servants away and when I was alone, I just stood there, looking at it and weeping. "Then the thought struck me, 'A Jew can't lose his Jewish soul.' Maybe I had ignored it for a while, but I'm sure it's still there. I took my grandfather's menora out of the cabinet, dusted it off, found some oil and a wick and lit the first Chanuka candle. "Its light made me feel alive again. I even decided that the next morning I would begin putting on tefilin again. The following night I lit two candles and decided that from now on I would eat only kosher. The third night, I decided to begin learning Torah. The night after that I made the decision to keep Shabbat. By the end of Chanuka I had become a new man. A renewed man. The Chanuka lights had saved me. "So that is the reason I keep that broken bottle: to remind me how the miracle of the oil saved my life." Usually a mitzvah is translated as a good deed. Wrong! As in most cases, the translation of a Hebrew word is accurate but does not completely capture its meaning. A man comes to a marriage therapist and asks him: what do I need to make my wife happy? The therapist answered: I don't know, ask her! A man comes to a Rabbi and asks him: what do I need to do to make G-d happy? The rabbi answered: I don't know, ask G-d! What’s the answer? For your wife, ask her! For G-d, no need to ask Him for He already answered: Do my commandments as I told you in the Torah. The word mitzvah comes from the Hebrew word Tzav meaning commandment, as well as the Aramaic word Tzavta meaning connection. A mitzvah is an act that follows a commandment from G-d, doing G-d’s will, which results in a connection with G-d.
A mitzvah is not a good deed done to get to heaven or to feel good or religious. A mitzvah is something done to be connected to G-d. This is similar to a husband doing what his wife wants, because it is what SHE wants. M - Not yet. The definition of MITZVAH is a tough one. I try to do good and help people every day. For instance, earlier this week, out of the clear blue sky, a guy called for advice on how to ...... How he got my number I will never know. I gave him every good tip and idea I had. I don't even know his name. Was that a mitzvah? It sure made him happy…. I try to be kind to animals, including my fellow man, and I try to forgive those who have done wrong, even if they are unrepentant. Are those mitzvot? This past Sunday I had dinner together with close to 4,000 Chabad ambassadors and over 1,000 lay leaders. Senator Joseph Lieberman, they keynote speaker, began his address by saying “this is probably the largest crowd I have had the honor to address since I accepted the vice presidential nomination”. Looking at the crowd, I realized that in truth the room was empty; most of the ambassadors were missing. You see, Judaism is not a religion. The biggest mistake that people make is that they mix up Jews and Judaism. The Jewish religion is comprised of Jews. But Judaism is a movement, which begins not with institutions or temples, synagogues or Chabad houses, Judaism is a movement that begins and ends with one person - YOU! In the past, in order to be part of the movement one needed to be learned, a Rabbi or a Rebbetzin. In the past to get your friend to do a mitzvah you needed to bring them to the Shul or to bring the Rabbi to them. Today that is all changed. The conference should not have only been attended by the Rabbi and Rebbetzin ambassadors but by all ambassadors, you AND me. Let’s look locally. 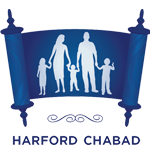 Over the past 3 years, Chabad has documented over 650 households in Harford County that include at least one Jew. Of these, some want to be noticed and engaged in a Jewish way of life while others do not want anyone to be aware of their Jewish background. 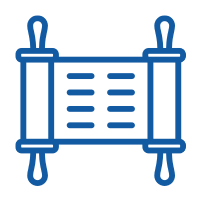 As part of the Jewish movement “to make the world a better place”, you become an ambassador. For those you know who are engaged in Jewish life – ask them to do another mitzvah, those who aren’t ask them to do another mitzvah, for those Chabad hasn’t identified ask them to do another mitzvah. You become an ambassador of light. The goal is to light up the world with 100 good deeds by Chanukah. No need to tell us who or to become a Rabbi – just report that the mitzvah was done. Love your neighbor - Visit an elderly Jew in an old age home, clear the air with someone who you’ve been bearing a grudge against, make peace with someone who wronged you, do a favor without asking or expecting anything in return.